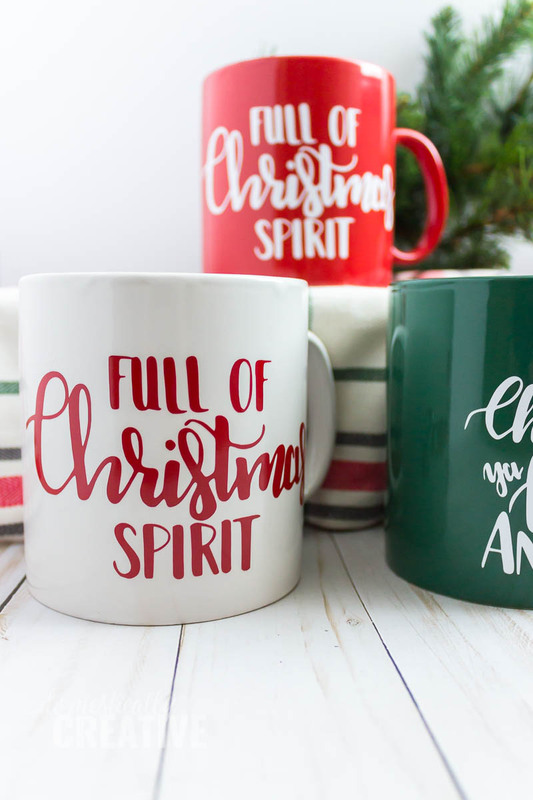 Make these easy hand lettered coffee mugs for those hard to buy for people on your Christmas list. 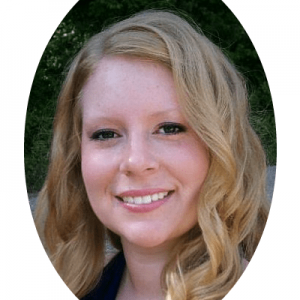 Download two FREE cut files and craft away! 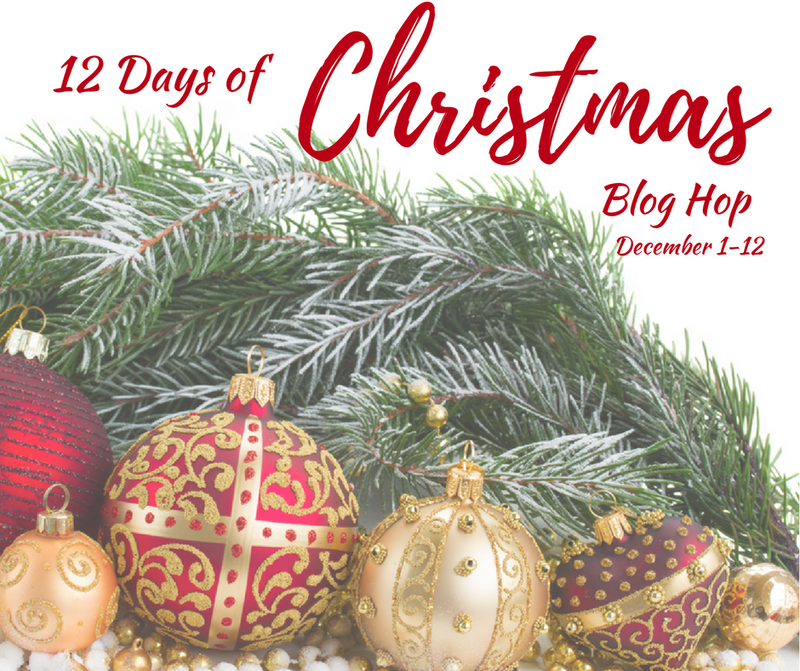 We are on to Day 5 of the 12 Days of Christmas Blog Hop! If you missed the first 4 days, you can start here and work your way back! Today’s theme is one of my favorites–Dollar Store Crafts!!! 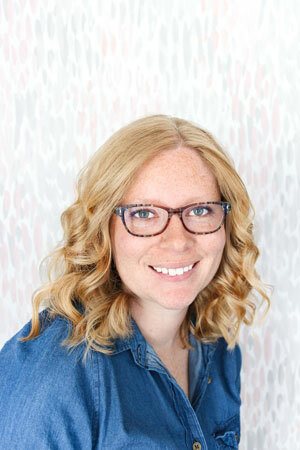 I love easy crafts, and especially easy crafts that don’t cost a ton of money. I seriously live at my local Dollar Tree. I’m surprised I’m not on a first name basis with the cashiers yet. Remember how I said I wanted to hand.letter.all.the.things when I learned how to turn my doodles into digital graphics? Well these mugs are part of that obsession. 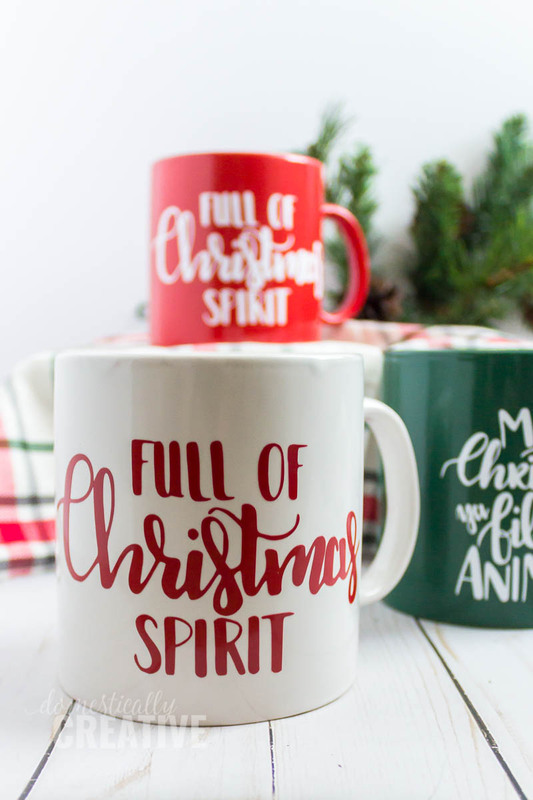 When I was lettering for our movie craft challenge, I also created this “full of Christmas spirit” lettering that I knew would be perfect on these large Dollar Tree mugs. It’s just the right amount of sass to give as a gag gift, but also would be perfect for the person on your list that is literally full of Christmas spirit! 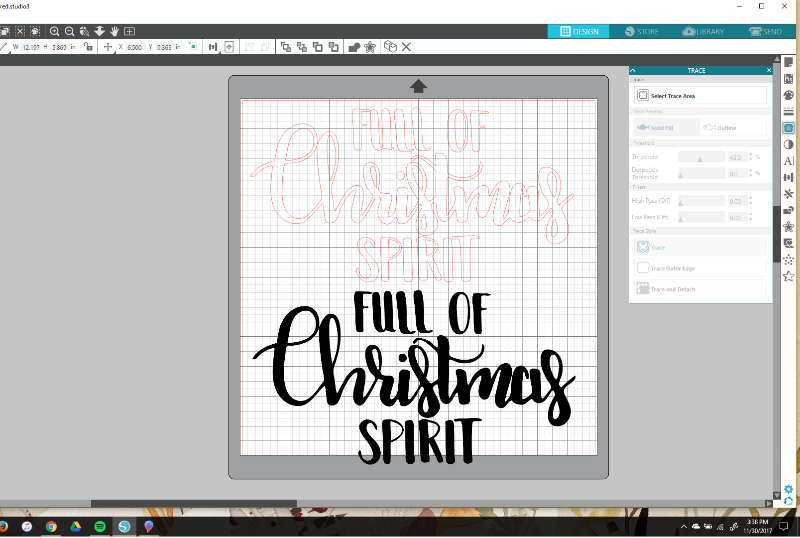 You can read the tutorial to create your own hand lettered coffee mug and download your cut files below! And be sure to check out the rest of the dollar store crafts that everyone else came up with! Select the trace tool and draw a trace box around the image. Everything should show up yellow, but if not you can play around with the sliders to the right until it does. Then click “trace”. Delete the image and you’re left with a tracing of the PNG file! Next, size the lettering to the size needed for your mug. This will vary depending on the mug you use and how big you want the quote to be on the finished product. Once everything is sized correctly, place the vinyl onto your cutting mat and load it onto the machine. Choose the cut settings needed for glossy vinyl and send to the Silhouette! Weed out the excess vinyl with this handy weeding tool. I seriously have no idea what I would do without it! After the excess is weeded and you are left with just the quote, cut a piece of transfer paper to fit over the design. 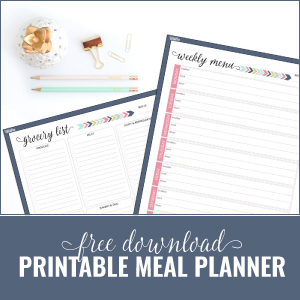 I have used several brands of transfer paper and I will only recommend this brand! It sticks to the vinyl well, but also releases it onto your surface easily! 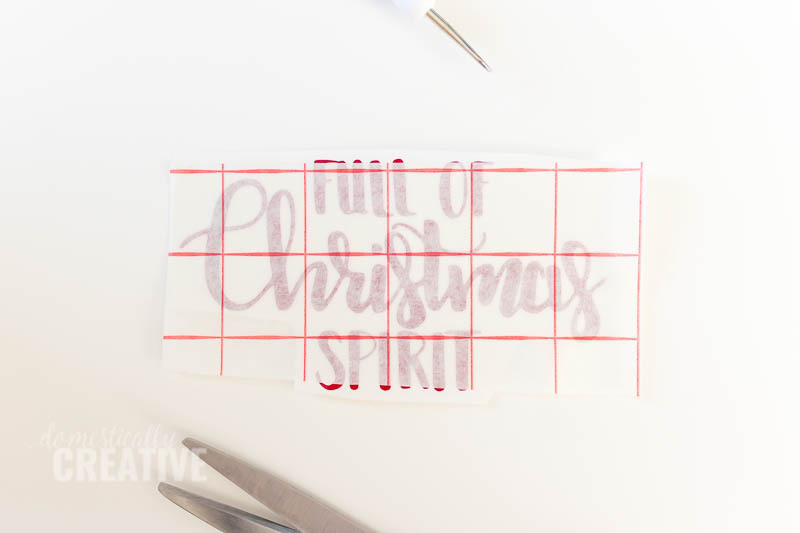 Peel off the backing of the transfer paper and press it onto your design. Use a credit card, your finger, or the smoother that comes in a pack with the weeding tool to smooth out any bubbles and make sure the transfer paper is on well. 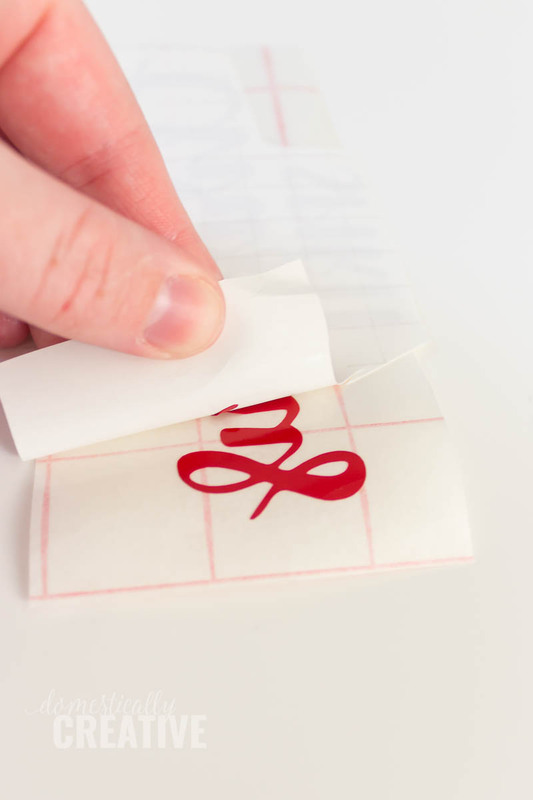 Flip over the design and peel the backing away from the vinyl. The vinyl should stick to the transfer paper. If it doesn’t, flip it back over and press the transfer paper onto the vinyl design more then try again. Finally press the transfer paper and design onto your mug and again smooth it on really well. 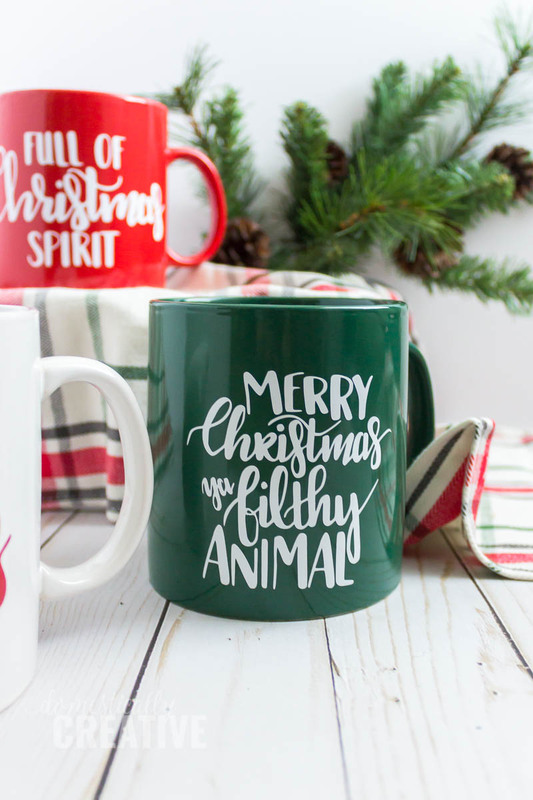 Carefully peel back the transfer paper and you are left with a shiny new hand lettered coffee mug! Because they are just vinyl, these are likely not to be dishwasher or microwave safe although I haven’t personally tried. I recommend you let the recipient know that too! 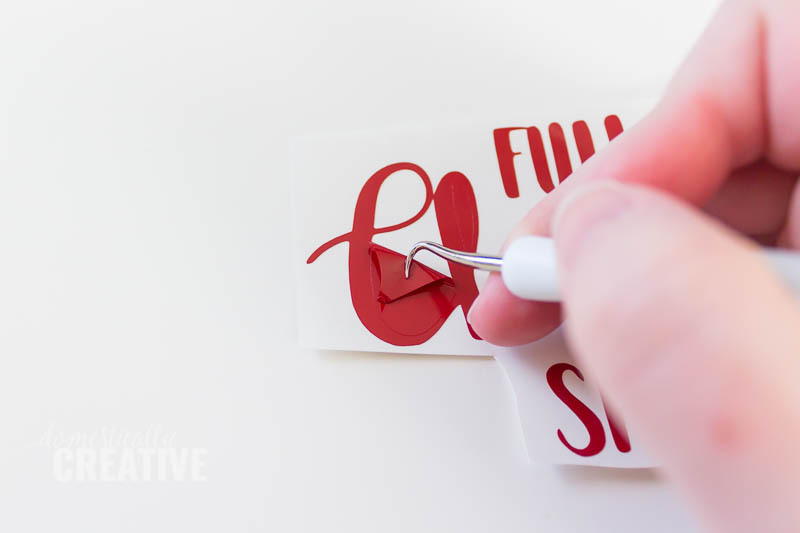 NOTE: You don’t necessarily need to have a cutting machine for this, you could print out each PNG and cut out the letters with an x-acto knife to create a stencil. Then use an oil-based Sharpie paint marker to fill in the stencil. I love these! 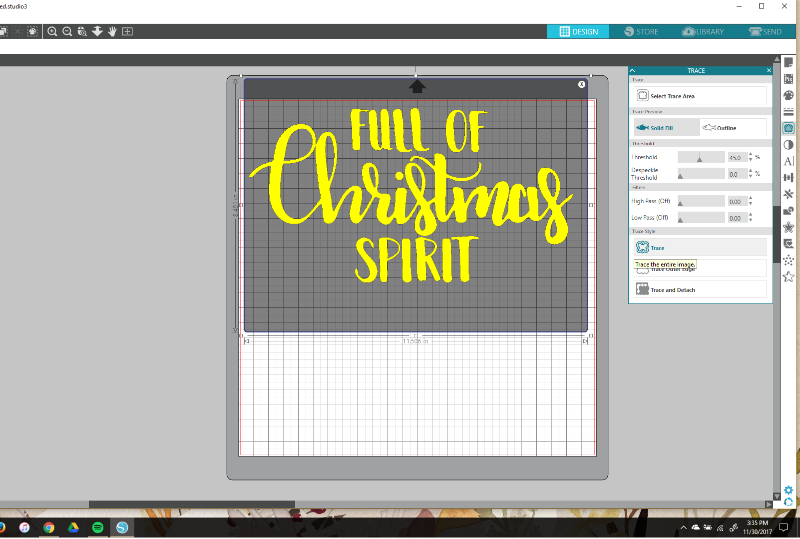 I have a Cricut and I love the hand lettered SVG and creating coffee mugs. Would you believe I’ve never vinyled a mug before? I feel like I’ve been missing out! These are great, Amanda! 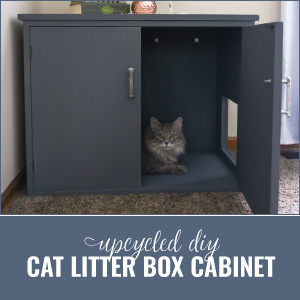 It’s so fun to find items at the dollar store that can be turned into such fun projects. So fun! Great (and cheap) gift ideas. Visiting from 12 Days of Christmas. It sure does make crafting a lot more fun! Love the quotes and especially the fonts on these! 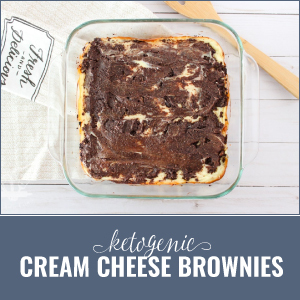 Great idea for a homemade gift!